Leslie Martini has a M.A. in English Literature and writes non-fiction for magazines, newspapers and websites, is a marketing copywriter for businesses, a literacy tutor for the underserved, and a college essay consultant for high schoolers. Her first book, Matilda, The Algonquin Cat, was published in 2016 by Wyatt-MacKenzie Publishing and received an Independence Publisher Book Award. 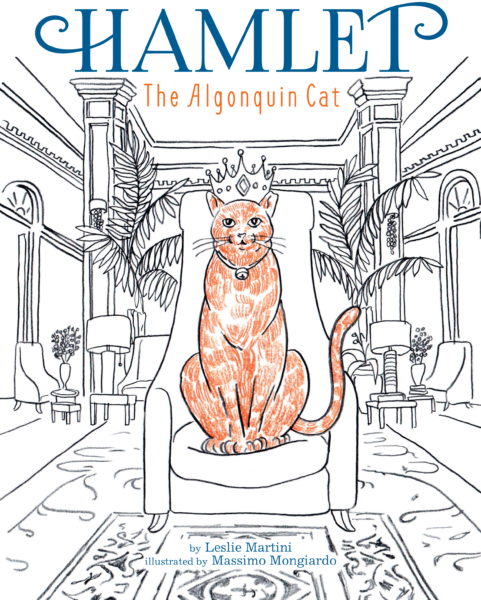 The second, Hamlet, The Algonquin Cat, was released in October 2018. The inspiration for Matilda, The Algonquin Cat, came from Leslie’s mother who took her to the Algonquin Hotel when she was a child. Her mother believed New York City represented the best of everything: culture, music, art, and literature. The Algonquin had it all, and…a famous feline in residence. 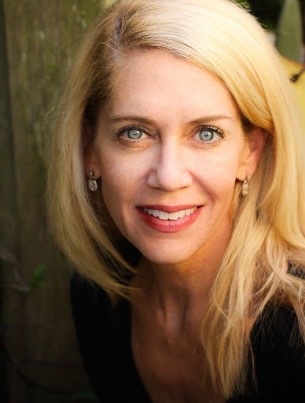 Leslie serves on the board of directors for the FRAXA Research Foundation, a nonprofit whose mission is to fund research to find effective treatments and ultimately a cure for Fragile X syndrome. She is is an active member of ASJA, the Society of Children Book Writers and Illustrators, 826 Boston, Writer’s Digest, the National Association of Independent Writers and Editors, and the International Women’s Writing Guild. On November 22, 1902, in one of the most fashionable neighborhoods of New York City, an elegant twelve-story hotel with a red-brick, limestone facade opened its doors for guests. 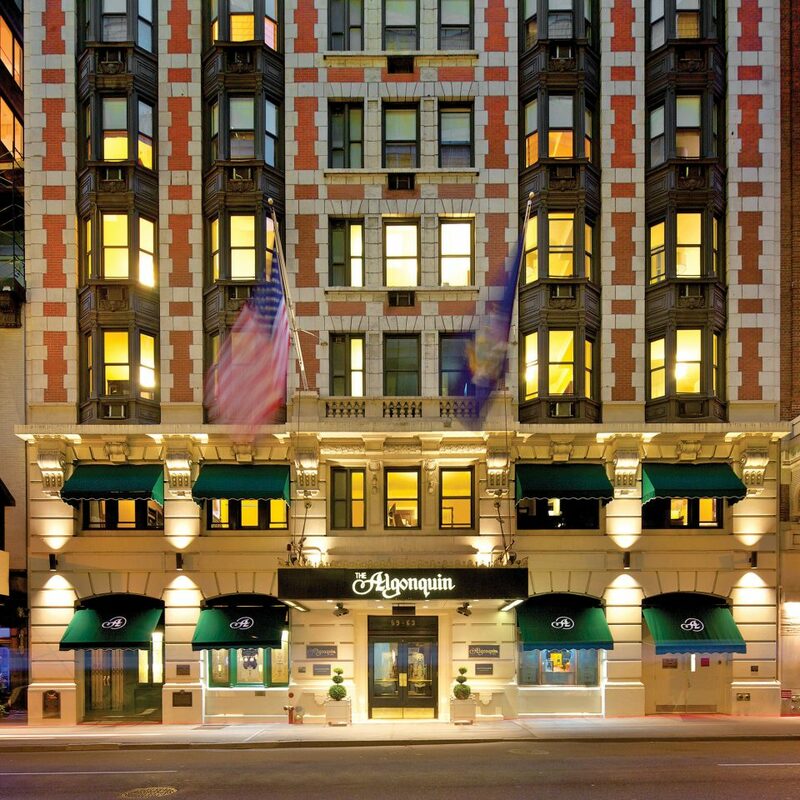 It wasn’t long before the new Algonquin Hotel became the daily meeting place for a group of talented young writers, editors, actors, and publicists, who gathered over lunch in the main dining room to talk, joke, write, and dream out loud. Among them were luminaries as Robert Benchley, Edna Ferber, Harpo Marx, George S. Kaufman, Dorothy Parker, Harold Ross, and Alexander Woollcott. Not only did hotelier Frank Case welcome this vibrant group, he ensured that they had their own special table—a round one for easy conversation and their own waiter. Because many of them were struggling financially, he treated them to free celery and popovers. Soon, this group became widely known as the Round Table. 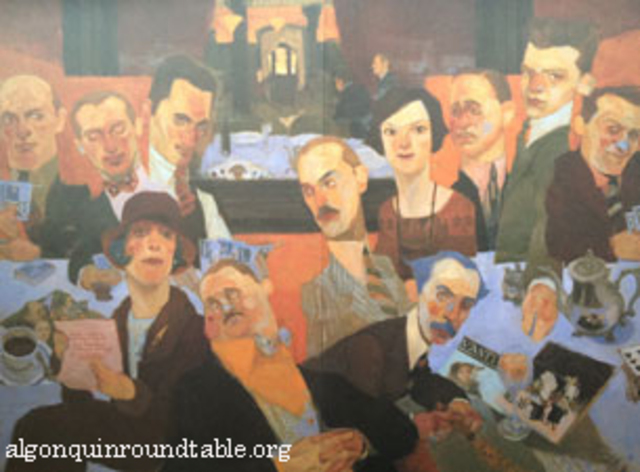 Over the years, the Round Table—both its members and its setting within the hotel—has been featured in articles, books, documentaries, and movies. One of its most enduring legacies is the famous literary magazine the New Yorker, founded in 1925 by journalist Harold Ross and his wife Jane Grant, a New York Times reporter. To this day, a copy of the magazine is given to guests at the Algonquin. 1932: Three days after the untimely death of Billy the “hotel cat,” a fixture for fifteen years, Frank Case documents in Do Not Disturb that a stray cat wandered into the lobby of the Algonquin and “took up right where Billy left off.” Case fed him and gave him a permanent home in the hotel, where he swiftly became a much-loved favorite of guests and staff alike. “It was as if he had heard there was an opening and came in and applied for it, only he didn’t apply, he just took the job.” Frank called him “Rusty” for his ginger coat, but it’s believed that renowned actor John Barrymore — who was playing the role of Shakespeare’s Hamlet at the time — told him that Rusty needed a more dignified name. “Hamlet” became his name. Since then, the Algonquin has always had a resident cat. The male cats are called Hamlet, and the females are called Matilda. Matilda, The Algonquin Cat and Hamlet The Algonquin Cat, are both works of fiction. 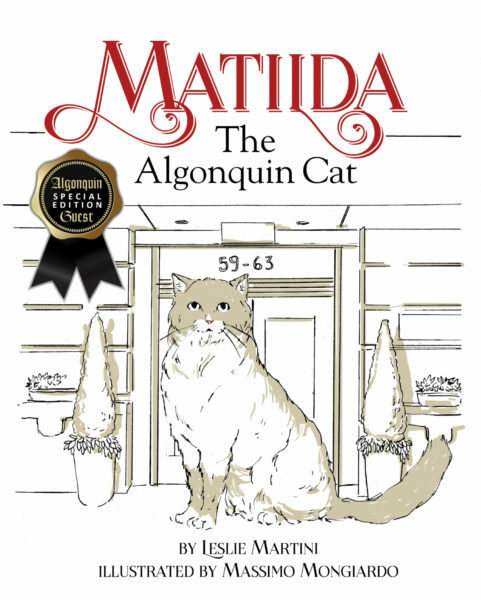 The staff members featured in Matilda, The Algonquin Cat are fictional, however, the creation of Hadley was intended to pay tribute to Alice De Almeida, Matilda’s real- life devoted caretaker. When Alice responded to a job ad for an executive assistant, she had no idea that “caretaker of the resident feline” was part of the description.